A New Book by Craig Kulchak! 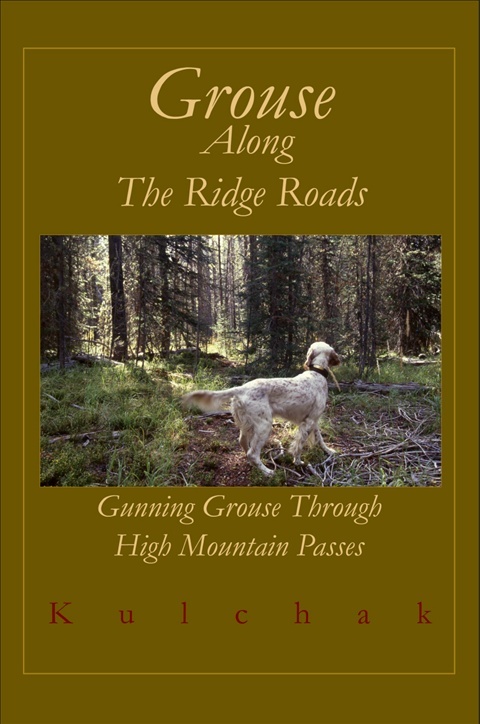 The fourth book in a series of upland literature by Craig Kulchak, Grouse Along The Ridge Roads is another grouse classic from Craig Kulchak! The book covers 5 decades of grouse gunning on the high mountain passes in Idaho. Recurring melodies play throughout – the tenacity of the old Land Rover, the Oreo cookies shared with his Ryman and Old Hemlock setters, and other emotional touches. Set in charming contrast to the precision of his accounts are hazy black and white photos and loose, energetic sketches taken from his gun diary. The beauty of this book lies in Kulchak’s skill in describing the moment. He has an exceptional knack for evoking the landscape’s sensory elements and the actions of a dog at work and a grouse flushing. This ability to draw readers into the moment is his gift to us. The first edition of Grouse Along The Ridge Roads is signed and inscribed by the author. Books shipping daily!